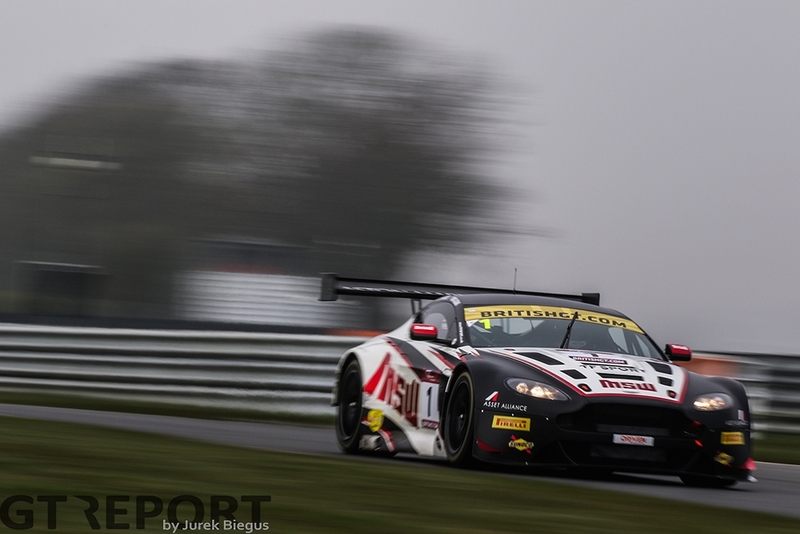 When the British GT Championship awakens from its winter slumber at Oulton Park over Easter weekend, the grid will look significantly different to the one that did battle at last year’s finale. 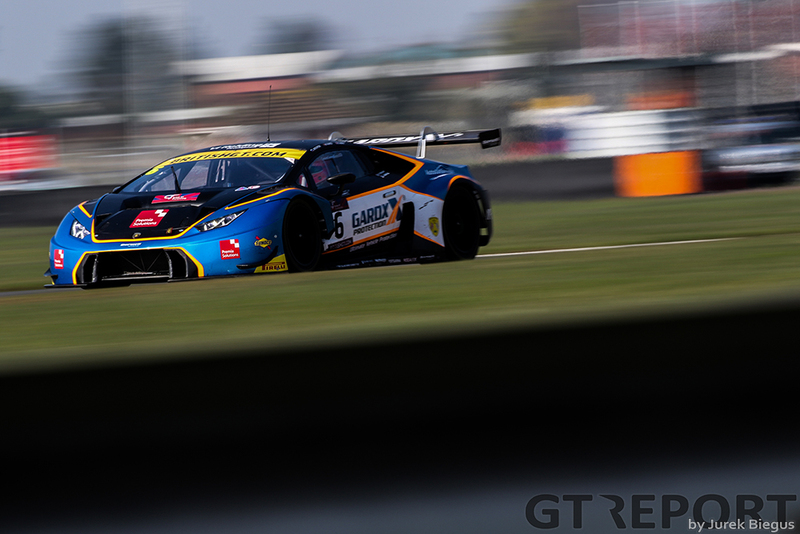 Sparked by the arrival of McLaren’s latest project, the 570S GT4, at the start of last season, the GT4 class has seen a surge of entries over the winter leaving the formerly ‘junior’ class as the most prosperous on the grid for the first time. Six McLarens make up the 19 car GT4 grid with the factory Garage 59 team returning to the championship with a pair of cars focussing on young, raw, talent. The first car features Ciaran Haggerty and Sandy Mitchell, who were a sensation last year and would have been championship contenders if not for early unreliability for the 570S. The second Garage 59 entry sees single-seater racer Akhil Rabindra move into GT racing with karting star Dean Macdonald using the first British GT round at Oulton Park as his first senior car race. 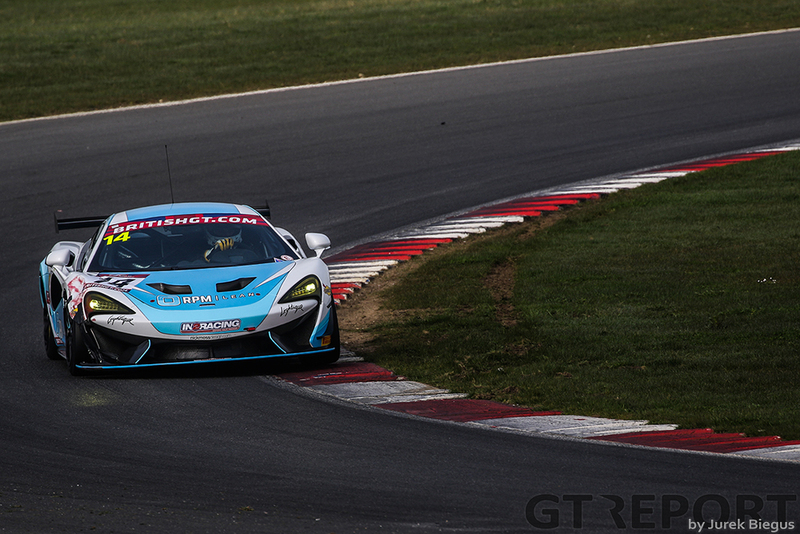 Whether putting Macdonald straight in at the deep end pays off will be closely watched by the team, who appear to be using GT4 as a stepping stone to the McLaren 650S GT3. Debut is a theme that is embraced by another two car McLaren team as In2Racing diversify from Porsche single-make racing with a pair of cars for former touring car driver Gareth Howell, Richard Marsh, Marcus Hoggarth and a driver still to be confirmed. Also racing McLarens for the first time is track-club and Tolman Motorsport, who have taken a step back from the GT3 class after a frustrating year with the Ginetta G55 GT3. While McLaren can probably claim responsibility for kicking off the GT4 revival, Ginetta are still the best represented in the class. Last year’s GT4 teams’ champions AutoAid/RCIB Insurance Racing return with two cars, but for a completely different line-up. The first car sees Mike Newbould paired with Michael Caine, and the second car has rookie GT racer Sam Webster racing with GT5 front-runner Matt Chapman. The team will be hoping to enjoy the same success even with major changes. Of note elsewhere for Ginetta, the reigning drivers’ champions – Mike Robinson and Graham Johnson – will be back for PMW Expo Racing and Century Motorsport, a go-to team for the Yorkshire manufacturer, running two cars for former Britcar competitors Steven Fresle and Jacob Mathiasen as well as factory driver Mike Simpson and Anna Walewska. 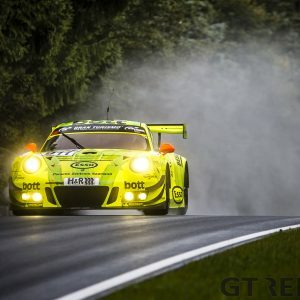 Porsche will be represented in GT4, with Team Parker Racing securing the Manthey Racing upgrade kit for the Porsche 911 GT4 Clubsport with the aim of giving the car the weight reduction and power boost Nick Jones and Scott Malvern desperately needed when they finally got their hands on the car in the second half of last season. With Beechdean AMR and Generation AMR departing from the championship, Aston Martin’s representation is at a low-ebb. The British marque has just two Vantages on the grid – the MacMillan entry of William Phillips and Jan Jonck, and the Academy Motorsport entry of Matt Nicoll-Jones and Will Moore. 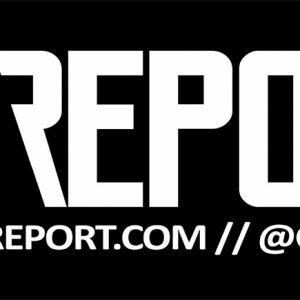 When it became clear that GT4 would be greatly expanding, many predicted that GT3 entries would at best be in single figures and at worst completely disappearing. What has come to pass is something different – 12 cars will take to the track at Oulton Park, and while that is lower than in the past, every entry has a reasonable chance of claiming victory. 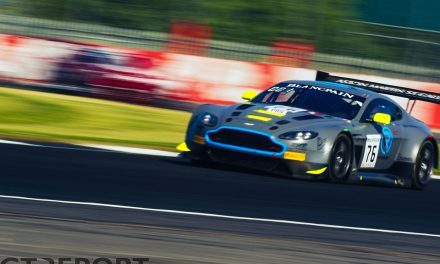 The entry is led by reigning champions Jonny Adam and Derek Johnston in their TF Sport Aston Martin Vantage. 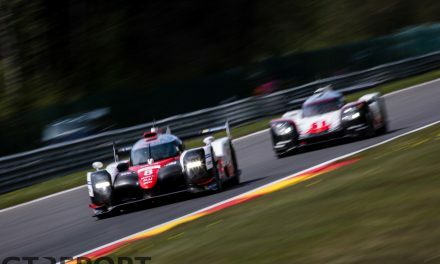 Once again joined by Mark Farmer and Jon Barnes, the pair looking to ride the wave started when they stormed to victory at Spa-Francorchamps last July. Nipping at their heels though, is Jon Minshaw in the distinct green and red Barwell Motorsport Lamborghini Huracán, who is again joined by Phil Keen. All eyes though will probably be focussed on the second Barwell Lamborghini. 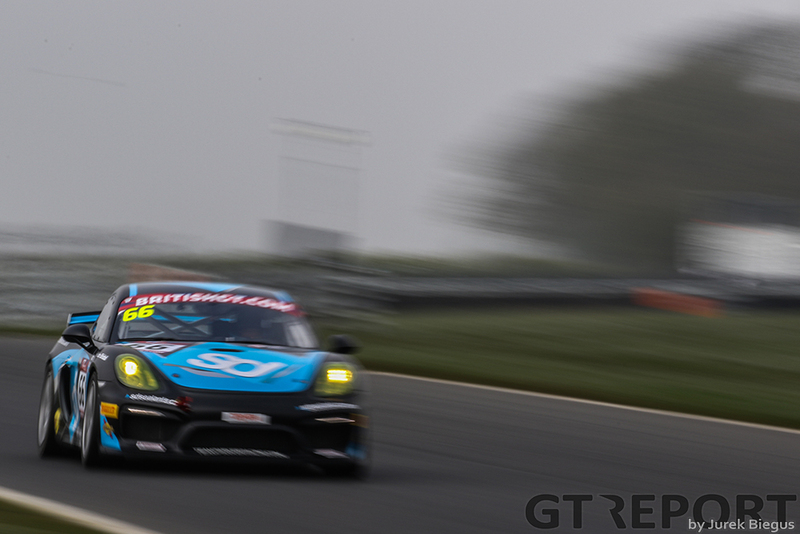 Liam Griffin will once again take on the ‘Am’ role but this year the pro will be British Touring Car Championship escapee Sam Tordoff, who will be out to prove his move to GTs will not set him back. That said, most excitement will come from different Italian muscle as Ferrari makes a full-time return to the championship after a year out as regular Blancpain team-mates Duncan Cameron and Matt Griffin bring their British Racing Green Ferrari 488 GT3 to Britain with support from Spirit of Race. For their second year with Bentley, Team Parker Racing will be giving Rick Parfitt and Seb Morris a wing-car as they look to finish off a title-fight they started so well in 2016. 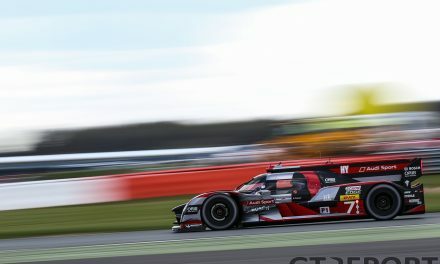 That support comes from Ian Loggie and Callum Macleod, who have moved from the Blancpain GT Series Endurance Cup to compete in Britain’s premier GT series. 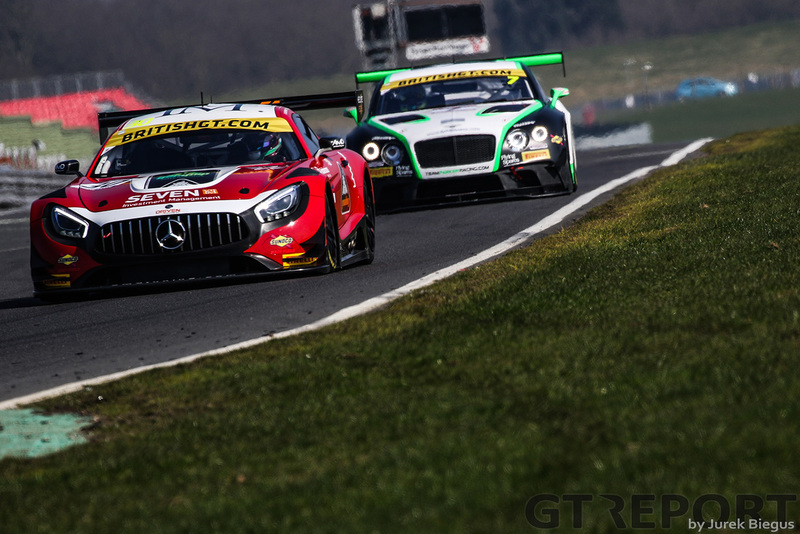 Mercedes-AMG will make its full-season debut in the championship, with Team ABBA by Rollcentre Racing swapping their venerable BMW Z4 for the three-pointed star with Richard Neary and Martin Short behind the wheel. 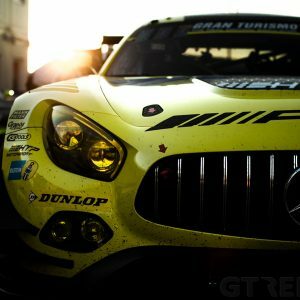 Doing the same thing is AmDTuning.com who will run an AMG for Lee Mowle and Ryan Ratcliffe. 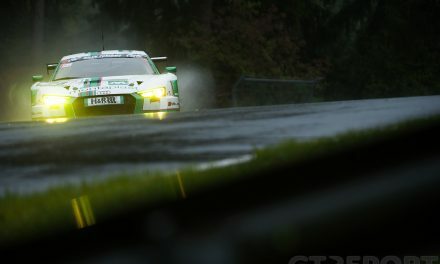 The first round of the British GT Championship starts at Oulton Park this weekend, with two one-hour races.